Macular degeneration is an eye disease – causing vision loss to more than 11 million Americans! A Breakdown of the term Macular degeneration – Macular relates to the macula of the eye- it is that part of the retina, which is responsible for a sharp vision, while degeneration means – losing the original form over time, due to any reason. So by definition, macular degeneration is an eye disease that causes the degeneration of the macula over time, resulting in loss of vision. In early stages, macular degeneration does not affect vision, but as it progresses, people experience wavy or blurred vision. If the condition continues to worsen, central vision may be completely lost. People with very advanced macular degeneration are considered legally blind. Even so, since the rest of the retina is still working, they retain their peripheral vision (or side vision). At present, Macular Degeneration is considered an incurable eye disease though some treatments do exist. The retina comprises of millions of light-sensitive tissues hosted at the back of our eye as an inner lining. The cells forming these light-sensitive tissues are referred as the rods and cons. Light rays pass through the cornea, pupil and lens of the eyes to focus onto the retina, which converts them into electrical impulses through biochemical reactions and passes them on to the brain via the optic nerve. Our brain then interprets those impulses as the images seen by us. Macula is the central portion of the retina, which controls our ability to read, drive a car, recognize faces, colors and see objects in fine detail. When the macula is damaged or starts to deteriorate, what we see are blurred images of the world around us or images with missing detail. Is age-related macular degeneration the same as macular degeneration? Yes, they are both the same. Since macular degeneration is believed to affect aging people primarily (though a few variations are also known to affect the young as well), it is also referred commonly as “Age-related Macular Degeneration” or AMD/ARMD. Can you get AMD in only one eye, or does it always occur in both? AMD can occur in one eye only, as an initial sign of the disease showing up. However, over time, it is highly likely for a person with AMD in one eye to develop AMD in the other eye as well. Will “using” my damaged eye after I’ve been diagnosed with AMD contribute in progression of AMD in that eye? That’s not the case. Using your eyes for everyday tasks is not going to hurt your eyes or accelerate the AMD induced damage in any way. In fact, using more of your damaged eye can help you learn new and improved ways of seeing things, compensating for your diminished vision. Will “resting” my good eye help prevent development of macular degeneration in it? If you have macular degeneration in only one of your eyes, the development of macular degeneration in the other one doesn’t depend on whether you “rest” the good eye or not. Can macular degeneration cause total blindness? Macular degeneration only affects the macula. So, your peripheral vision will remain intact. Meaning, you will not go completely blind, but if your macular degeneration gets acutely worse, you will fall under the ‘legally blind’ category. How painful is macular degeneration? Macular degeneration is known to be a painless eye condition. In fact, you might not be able to observe any visual symptoms of the disease through its early stage development. That’s why experts advise visiting your eye doctor for regular eye checkups, so that your retina can be examined specifically for any early symptoms of the disease. I like reading a lot. Is my macular degeneration going to advance rapidly if I continue reading? No, your reading habits are not going to worsen your AMD, though you may start tiring much quicker while you are reading. This would be because of requiring extra efforts in concentrating, particularly, if you have already suffered some vision loss due to AMD. So, you may need frequent breaks while going through your favorite books after suffering from this degenerative eye disease. Broadly, AMD is classified into two types: wet macular degeneration and dry macular degeneration. This type of macular degeneration makes up for about 90% of the total cases of AMD reported, also commonly known as “Non-neovascular AMD”. It leads to the thinning and aging of macula, as a result of which small pieces of fat and protein, known as “drusen”, start to accumulate underneath retina. In most of the cases, vision loss due to dry AMD takes place quite slowly, but it is still possible that it eventually progresses to severer form, i.e. wet AMD. It is possible, but quite rare for dry AMD to progress to the level of “legal blindness”. Wet age related macular degeneration, also known as neovascular AMD, is held responsible for only about 10% of the total number of AMD cases reported. However, when it comes to the type of AMD responsible for highest number of legal blindness cases, wet AMD far exceeds dry AMD. Sometimes new and fragile blood vessels start growing underneath the retina, which are highly susceptible of blood and fluid leakage into the macula, owed to their fragility. When this happens, the phenomenon is referred as “choroidal neovascularization”, thus labeled as wet macular degeneration. There are some further rare variations of the disease as well, i.e. Geographical Macular Degeneration and Juvenile Macular Degeneration. 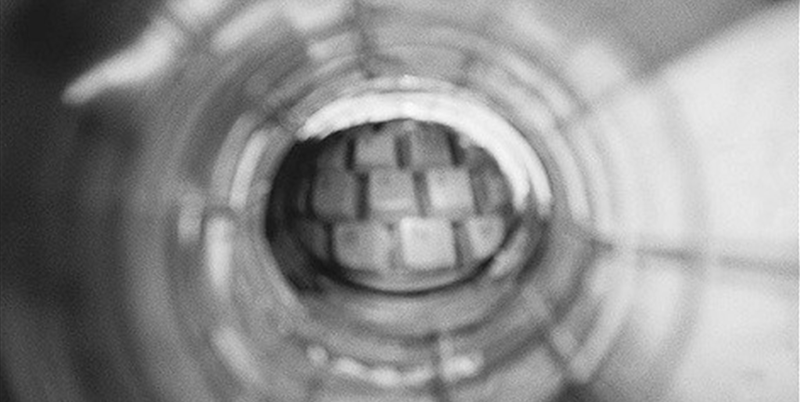 You can get more on the difference between wet and dry macular degeneration here. What are the different stages of age-related macular degeneration? Early stage AMD is not known for reflecting any noticeable signs of vision loss for most people. That is why eye doctors insist so strongly on having an eye exam on regular basis, especially if you fall among people bearing more than one risk factors of AMD. Experts are able to identify for early stage age related macular degeneration by looking for medium-sized drusen (yellow colored waste deposits beneath the retina) underneath the retina. In most cases, some sort of vision loss shows up by this stage, but it is still highly unlikely to have some noticeable AMD symptoms. 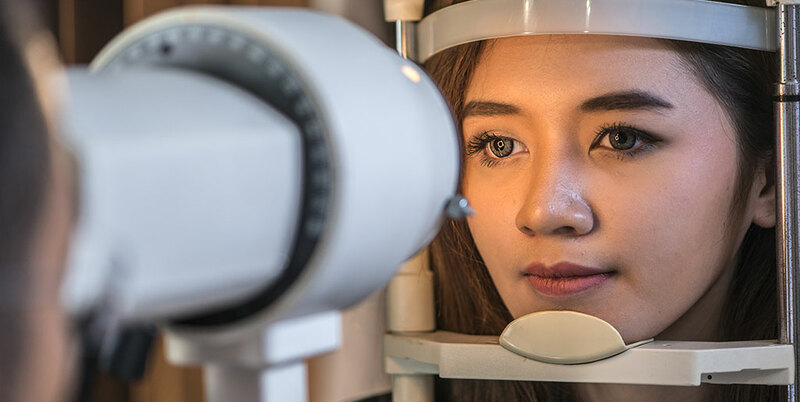 It is recommended to undergo comprehensive eye exam from a specialized ophthalmologist/optometrist who will explore through the eye for changed pigmentation and/or larger drusen deposits in the retina. As the name suggests, vision loss due to macular degeneration peaks at this stage, though not all cases of early AMD always progress to late AMD. According to National Eye Institute, 1 in every 20 people who have had early AMD in one eye (with other eye remaining free of it) is susceptible to having advanced AMD after 10 years. Similarly, about 14% of those who have had early AMD in both eyes are likely to get AMD in one or both eyes 10 years later. Although no cure is known to exist currently, are there treatments available for AMD? Yes, there are various treatments for wet AMD and dry AMD. 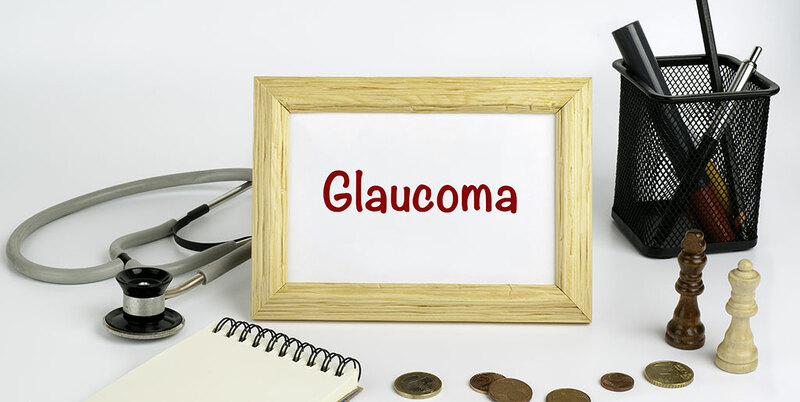 For instance, the most popular treatment options for wet macular degeneration include laser surgery, photodynamic therapy, and anti-VEGF (Vascular Endothelial Growth Factor) therapy. Similarly, optometrists resort to the treatments based on AREDS and AREDS2 studies conducted by “The National Eye Institute’s Age-Related Eye Disease Study”, which involve a highly specialized antioxidant formulation whose major ingredients include zinc, carotene (vitamin A), vitamin C and vitamin E.
The idea of totally reversing macular degeneration to the extent of regenerating already degenerated areas of the retina and macula is still a far cry. However, there are certain existing treatments and procedures that have shown remarkable results as far as stopping the progression of the disease is concerned. For example, “Anti-VEGF pharmacotherapy” (where VEGF stands for “Vascular Endothelial Growth Factor”) is considered as quite a viable treatment option for effectively countering the progress of wet AMD. Similarly, there are these AREDS and AREDS2 studies’ based treatment for Dry AMD, developed under the supervision of “the National Eye Institute”. In fact, AREDS and AREDS2 refer to “The National Eye Institute’s Age-Related Eye Disease Study”, which revealed that using customized dose of selective antioxidants along with zinc helps immensely in countering the progression of intermediate stage Dry AMD to advanced stage of the disease. This also turns out as a remarkable progress in tackling vision loss in many people. The major ingredients of this antioxidant formulation include zinc, carotene (vitamin A), vitamin C and vitamin E. It is important to keep into consideration that these antioxidant formulations proved significantly beneficial in countering the progression of the disease from intermediate to advanced stage as compared to the progression from early to intermediate stage. In cases where a person has suffered significant vision loss due to retinal degeneration, eye doctors often suggest them low vision aids like IrisVision. In an eye exam, a doctor may use an Amsler grid to test for defects in the center of your vision. If you have macular degeneration, you may see blurred, faded, broken or distorted lines on the grid. During an eye exam, the doctor will inject a colored dye into a vein in your arm. The dye will travel to your eye and highlight the blood vessels. By using a special camera, the doctor will take various pictures as the dye travels through the blood vessels. The resulting images will show if there are any abnormal blood vessels present or any form of leakage. Similar to fluorescein angiography, the doctor will inject a dye in a vein for this test also. The colored dye might be used to confirm the findings of a fluorescein angiography or to identify specific types of macular degeneration. This is a noninvasive (involving no instruments that go in the body) imaging test. It displays detailed cross-sectional images of the retina. With this test, the doctor will find out if the retina is thinning, thickening or swelling. In this eye test, the doctor will put drops in your eyes to dilate them. Then use a special instrument to examine the back of your eye to identify any mottled appearance caused by drusen. Drusen is a yellow deposit that forms under the retina. People with macular degeneration often have a lot of drusen. What is hereditary macular degeneration? This is a type of macular degeneration that occurs because of mutated genes. Several genes are strongly associated with the risk of causing macular degeneration by medical experts. However, researchers still continue to study other gene candidates to determine their role in this disease. Is macular degeneration strictly an old person’s disease? No, not necessarily. Although, AMD is more commonly found in old people, there are variations of macular degeneration that affect youngsters as well, referred commonly as “Juvenile Macular Degeneration”. Also known as “Juvenile Macular Dystrophy”, this particular variation of macular degeneration is inherited, affecting children and young people specifically. Mostly, this is an autosomal recessive condition, i.e. it develops only when a recessive gene is passed on to the child from each parent. This condition targets only the central vision in children, sparing the peripheral vision and the victims do not go blind by it. Juvenile macular degeneration is further bifurcated into two subcategories, i.e. Stargardt’s disease and Vitelliform macular dystrophy. How can I prevent macular degeneration or lessen its severity? There are various prevention steps like eating a ‘green diet’ and omega rich (fish) diet, exercising regularly and not smoking; basically, a general healthy life style. Also, protecting your eyes by wearing sunglasses in sunlight also helps. On the other hand, once affected with AMD, there is no cure, though you can definitely learn living well with AMD, which eventually helps slow down the progression of AMD. Resorting to ARED based medication also proves helpful in slowing down age related macular degeneration. If diagnosed with wet AMD, having a laser surgery at an early stage might help slow the degeneration down or even stop further vision loss, but in most cases, it is often very hard to tell if the surgery will do more harm than good. This is a treatment based on anti VEGF drugs. These are injected in the effected eye via a thin needle to reduce the abnormal growth of blood vessels underneath the retina. These drugs also slow down the leakage of fluids into the macula, offering a significant help in dealing with wet AMD. Eye supplements can help with Dry AMD. 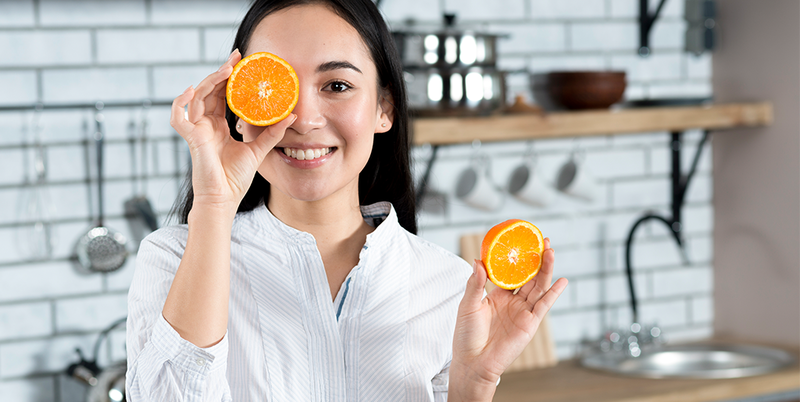 Your ophthalmologist will tell you what vitamins or minerals are recommended for your particular case of dry AMD, but these are found to be generally helpful. Technology in the health sector is advancing particularly fast. There are various low vision aids that can help with macular degeneration. One of them is IrisVision – a vision-enhancing device comprised of a Samsung Gear VR headset and a smartphone. 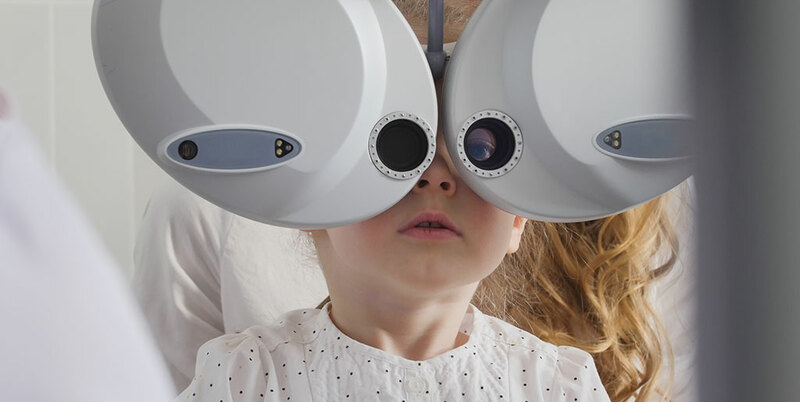 It has superlative features like IrisBubble, which lets you see clearly without blind spots or missing visual detail, also offering adjustable brightness settings, clinical adjustments and so much more. Is Macular Degeneration turning into a bigger problem? Unfortunately, yes, and there are a number of reasons behind this, aging population being one of the biggest issues. According to this census report, by 2030, for the first time in the history of the U.S., the number of people aged 65 or over would be around 78.0 million compared to 76.4 million people under the age of 18. And, the older you are, the higher is your probability to suffer at the hands of macular degeneration. Other major factors include environmental factors like rapidly thinning ozone layer, poor diet, obesity, smoking and a generally unhealthy lifestyle. So, one of the best ways to stay away from age related macular degeneration is to go for a healthy lifestyle, having proper meals enriched with leafy green vegetables (kale, spinach, collard greens, etc. ), using good quality sunglasses for protecting your eyes and visiting your eye doctor on a regular basis to be checked for eye problems including AMD. Who is at the highest risk of getting age-related macular degeneration – macular degeneration risk factors? One of the biggest risk factors for AMD is old age itself. According to research, your probability of getting affected by AMD raises to 30% if you are over 75 years of age as against a risk of about 2% for middle-aged people. Other risk factors for AMD include inappropriate diet, smoking, obesity, hypertension, sunlight exposure, gender, race, iris color and family history of this disease. Make sure to not only regularly visit an eye doctor, but also your general physician, so that they can refer you to eye care specialist if they identify you as a high risk person for AMD. What can be some potential symptoms I should consider as a precursor to AMD and share my concerns with an eye doctor? The best thing for you to do is immediately contact an optometrist if you observe any of the above mentioned symptoms. One of the best ways to cope with AMD is early diagnosis and the sooner you go to your doctor, the quicker your potential AMD can be diagnosed. If I am diagnosed for age related macular degeneration, what are some important questions for me to ask my doctor? What type of AMD do I have, wet AMD or Dry AMD? Has AMD affected only one of my eyes or both? At what stage is my disease right now? How often should I consult you (they eye doctor) from now onwards? Can I test for AMD at my own using Amsler Grid? If yes, how often should I resort to the grid? Is there anything I can do in order to delay the progress of my disease? Is there some kind of a specific diet plan that can help me with fighting AMD? Are there some effective lifestyle changes to pursue? What are some of the latest treatments for AMD? If I am also on some other medication, will it affect my AMD? How? Are there any beneficial vitamin supplements that I can take? Is age related macular degeneration considered a contagious disease? No, it is not. AMD is a degenerative eye disease, which affects macula and it cannot be passed on from one person to other like contagious diseases. Does having watery eyes mean I am about to have wet macular degeneration? No, these are two absolutely different eye conditions. Wet macular degeneration refers to the scenario where some blood or fluid leaks underneath your retina due to growth of abnormal blood vessels. This blood or fluid doesn’t ooze out of your eyes like the water that does so when you are suffering from watery eyes. Seeing your eyes in front of a mirror won’t give you any hint of what’s going on at the back of the eye when you have AMD. Dry eyes, itchy eyes, bloodshot eyes, watery eyes and other such symptoms have nothing to do with your retina in most of the cases, including AMD. The front of the eye remains unaffected from any disease or damage to the retina. Does having dry eyes mean I am about to have dry macular degeneration? No, that’s not the case. Dry eyes, also referred as “itchy eyes”, reflect a condition that affects the front of the eye, a scenario different than dry macular degeneration, which affects the retina lying at the back of the eye. Are there any low vision aids and other resources available to help people with advanced macular degeneration? People with late AMD or advanced macular degeneration are troubled significantly in performing even trivial daily chores like reading, sewing, driving, using a telephone, recognizing faces and so forth. This is because of the damage done to their central vision due to the degeneration of macular tissue. 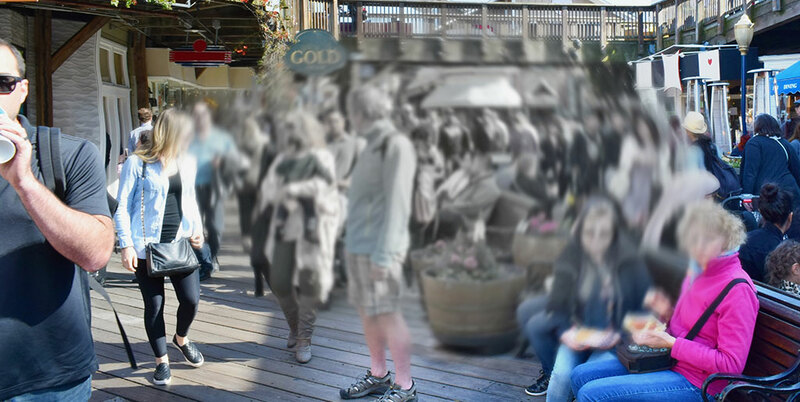 However, in majority of cases, the side vision or peripheral vision, the ability to view sideways, remains intact even in people with advanced macular degeneration. Thanks to rapidly advancing medical care facilities, there are a host of options aimed at expediting their leftover side vision by projecting images on the undamaged region of the retina instead of its normal position, i.e. the center of the retina, which is already damaged in case of advanced macular degeneration. Until some time ago, this was done with the help of resources like handheld magnifiers, phones with larger buttons and certain other digital magnification devices. Now there are solutions like IrisVision, one of the best low vision aids in the market right now, which combines the expertise of top medical professionals with contemporary telecom advances to make sure people suffering from age related macular degeneration, cataracts, glaucoma and other degenerative age related eye diseases. In fact, it is also commonly known as the best “macular degeneration eyeglasses” due to its efficiency in assisting people with macular degeneration.